Every year seems to come with resolutions to do more of certain things(like read the Bible and exercise) and less of other things(like overindulge on sweets). This year I felt strongly that I am supposed to focus on what we can do rather than what we shouldn't do. In fact, I believe this is the foundation for the freedom I have found in many areas of my life. For example, when someone starts a new diet(which means a way of life) they often focus on all the things they will need to restrict. When we focus simply on the things we need to restrict we fail to indulge on the things that our body needs(like water, vegetables, fruits, and rest). I believe if we fill up with good things than we don't miss the things we don't need to be consuming(like sweets and other junk food). The same is true spiritually. While it can be good to fast things like social media and TV it can't be done without fueling our self with things that give life, like God's word. Over the last year I have been very intentional about reading God's word and I have noticed a big difference in my appetite for the things of this world like social media and TV(to name a few). Because I recognize the importance of God's word in my own life I am passionate about passing it on to my kids. I was beyond thrilled to discover a new book set from Tommy Nelson Publishers called "The Joshua Code". 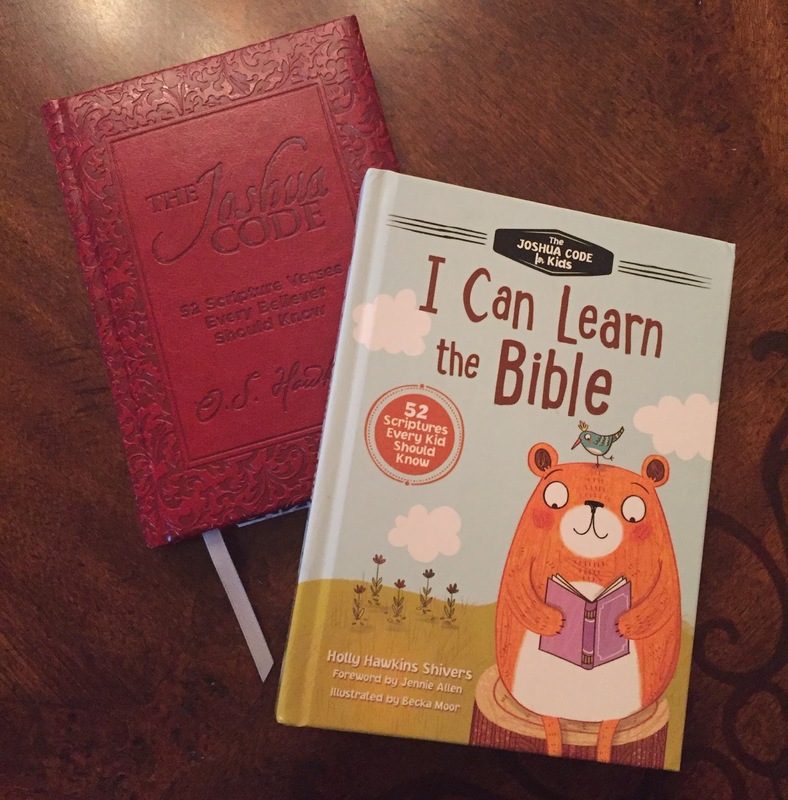 What's unique about this set is that it has a book for the parents and one for the kids but each weeks topic stays the same so you are studying the same verses at the same time. How cool is that?! Each book contains 52 scriptures every believer/kid should know. Every week has a new scripture and devotional. The first thing that jumped out to me in the Joshua Code for kids book in was a quote in the foreword that said "If you give your child one thing by the age of five, let it be a big faith in God". Wow, isn't that the truth? Another thing I love about the kids book is the plan for you to follow Monday through Sunday to help your kids memorize that weeks' scripture. The stories are engaging and strike up great conversations between me and my kids. Would you like a FREE copy of this set of books? Simply comment below and let us know if your family has a family Bible verse. And if so, what is it? I am a member of the Tommy Nelson Mommies for Thomas Nelson, Inc. As a member of this group, I receive products for my use and to review at no charge to me. I receive no monetary compensation for my participation. All opinions are my own. I would love to do this with my boys!! Shucks! I don't think my family has any "one" verse although we did repeat Psalm 56:3 over and over last night during the thunderstorm.